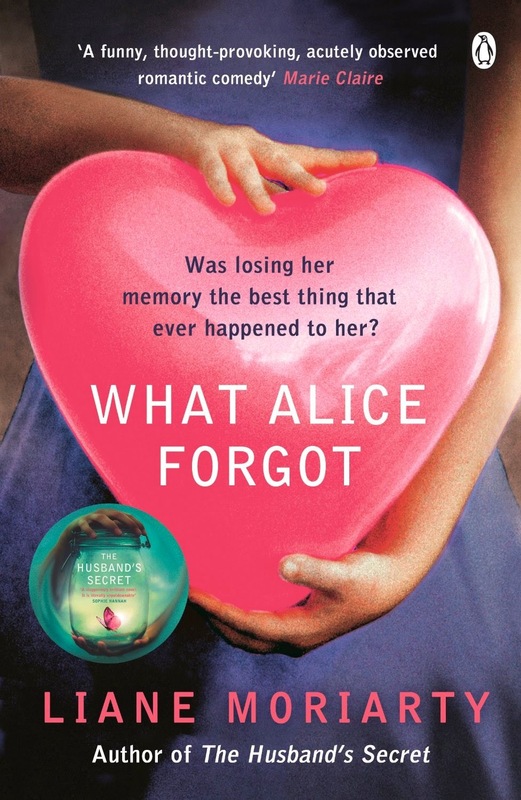 I feel bereaved; as if I have lost a warm cosy family all at once – Liane Morriarty is such a talented writer – from the first page of this book I felt so immersed into Alice’s world that now I have come to the end of it, I have lost a whole family of characters that I had come to love. I am being constantly given books and felt I needed to be strict with myself – I had to read a few on my growing pile before I could have the treat of another helping of Liane Morriaty. I slipped it into my bag for this trip to the Cotswolds, guiltily leaving behind several aborted books looking reproachfully at me – I just did not care enough to keep reading. I don’t know where it comes from, but there is some sort of compulsion that I need to stick at things, as if giving up on a book somehow implies that I don’t stick at anything in life. Why on earth do I think that way? I started a book group some years ago it was extremely popular but there were two distinct camps, those who considered reading arduous – something that you had to stick at, books were an enlightenment, an education and should be challenging. They would turn up with their six pages of notes, their cross referenced analysis pinned to a clipboard! Yes they turned up with clipboards! If they did not enjoy the book – it seemed to please them more- as if they had somehow become better people for enduring. The second camp were at the group just to make friends, drink wine and have a good time, often they would turn up saying that they did not really like the book and had stopped at page such and such. (I was in the second group although often I would endure until almost half way,I was after all supposed to be running the group, but some of the books were quite frankly abysmal). The library supplied sets of books to us – after a couple of months I noticed a pattern of dreadfulness – a definite guarantee if the book had won any form of award. The worse culprit was one that had won an orange prize for fiction – three chapters on the character’s early years making pictures from the phlegm bespectacled bowls he had to carry downstairs in his mother’s boarding house. I think that was when I felt I had to do something. One lady in particular was a nightmare, she would treat the sessions like she were a university lecturer, often leading the group and ignoring whoever was hosting at the time (we had a rule that the host would lead the group). If someone did not agree with her analysis (she later confessed the six pages were taken from the internet) she would accuse them of not being intelligent enough to see the ‘underlying theme’. She suggested a book that everyone hated, surprisingly most people had the courage to say so at the meeting, I had a flurry of phone calls the next day, complaining that I needed to ‘do something’. I ignored the tactful advice of my better half I tried to suggest we lighten up a bit a bit and the clipboard loving – eight page note takers went elsewhere following her like little duckings, while hurling some very personal hurtful remarks in their wake about my ‘lack of professionalism! It was painful but I was left with the fun, nice people who thankfully were not frightened enough of the clipboard lady. It all settled down. I vowed never again to plough through books and gave myself a free pass never to finish any book again that did not thrill me from the first page – I had served my time several books over while running that group. Not so with Liane’s books: Alice slips in her step aerobics class and forgets the last ten years of her life – we journey into Alice’s world as she begins to piece back her life. The cast of characters that surround Alice are like the average family – they are all flawed individuals who are bound together by family and love. I think this book is so uplifting because it’s message is one of hope. Despite the messiness, the imperfections of family life, our general business, we can, somehow come together. I was hooked from page one and have read solidly for the last three days. One of the wonderful things about the other half also being a reader is that no-one complains, we just sit companionably together, the odd page being turned breaking the silence or the gentle snoring of the dog. One of us will move occasionally to make a cup of tea, a plate of chocolate biscuits just within reach – we sit comfortably on the same sofa in separate worlds. (I think he is in Italy while I am in Sydney).